6. Check out indoor park first, and go out when you want to ride more thrilling and exciting attractions! Must show Redeem Code on voucher at the "South Gate Group Ticket Booth"
Must show Redeem Code on voucher at the "South Gate Group Ticket Booth". This event is up to 31st May. Located in Jamsil, Seoul, Lotte World is easy to visit by subway that became one of the popular theme parks like Everland in Korea. Because the place is composed of both indoor and outdoor theme parks, visitors can enjoy regardless of the weather. 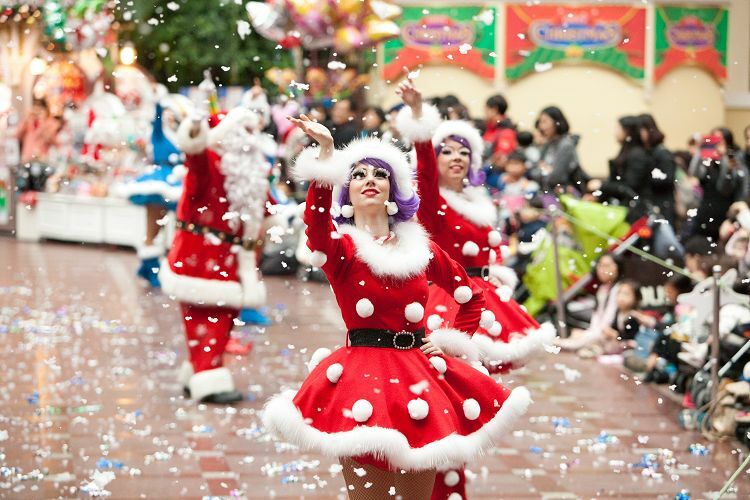 The various theme, parades, and other performances vary in each season, so people from all over the world can visit and have fun. 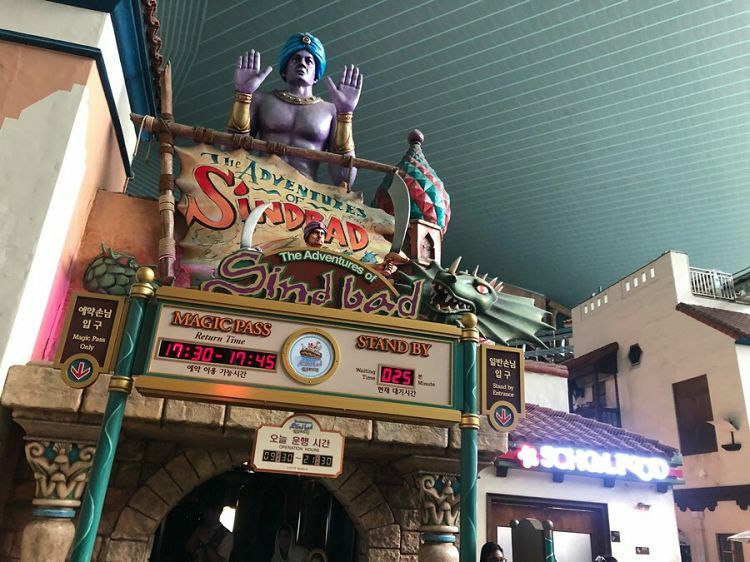 • We recommend you to ride thrilling attractions, such as The Conquistador, The Adventures of Sinbad, Atlantis, French Revolution, Pharaoh’s Fury, Tomb of Horror, etc. 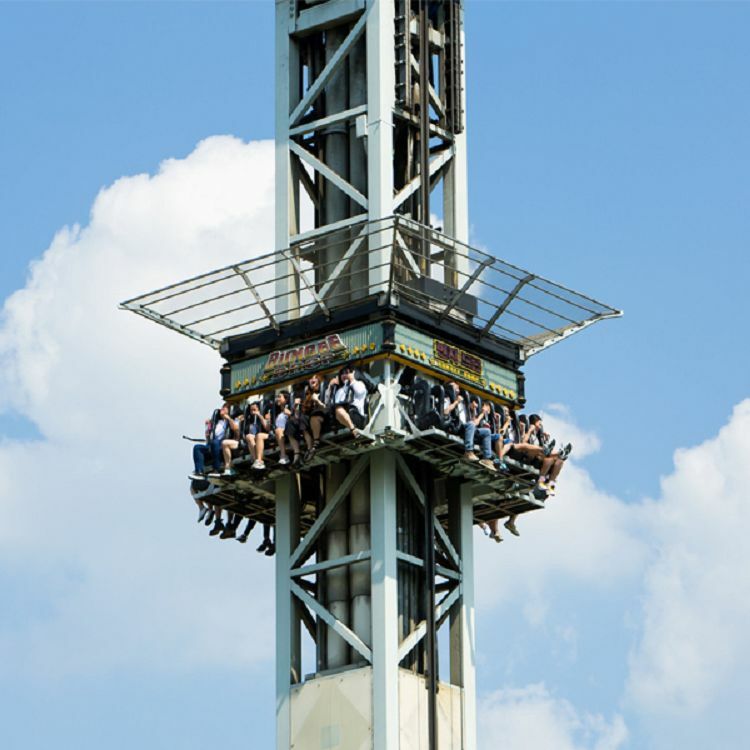 • We recommend those who do not want thrilling attractions to ride these following attractions, Drunken Basket, Dragon Wild Shooting, VR Space, Fantasy Forest, and Fly Venture. 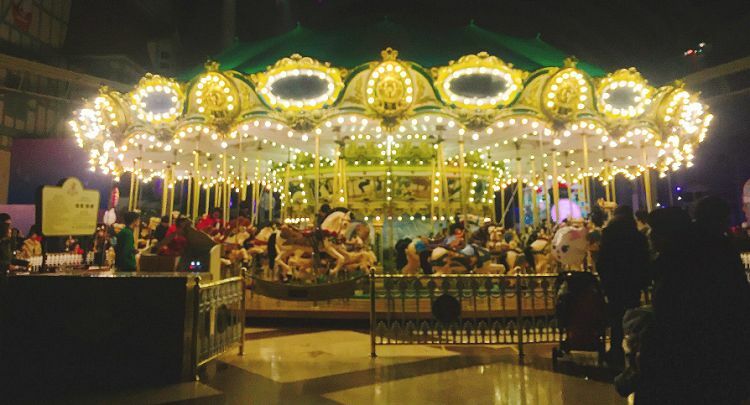 • Take a memorable picture in front of Camelot Carousel, the must visit place for lovers! 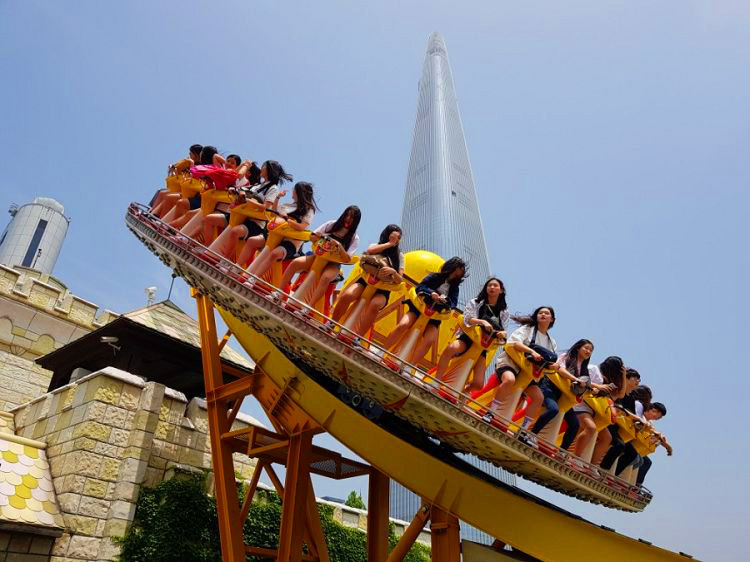 • Magic Island with Swing Tree, Bungee, Kid’s SightseeingCar, Geneva Cruise Lines, Load Nelson’s Armada, etc, can be enjoyed only in Lotte World! • Gyro Drop, which goes up high enough for you can see Jamsil Seokchon Lake! 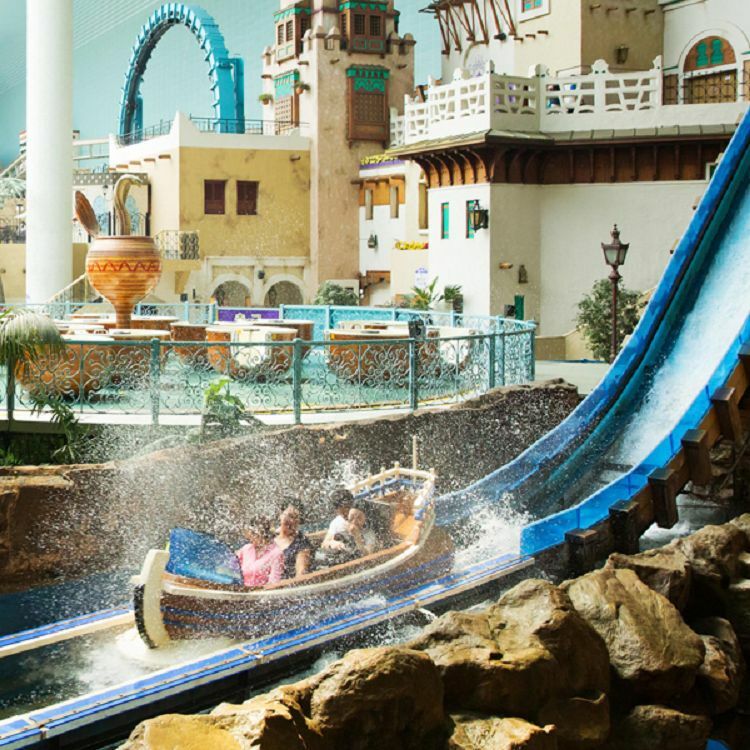 • Atlantis, the most popular attraction for its fastest speed that you can’t even breathe. • Various Dance Show, Magic Show, Musical performances are prepared. • Santa and Light Parade that can only be seen in Winter! • Using Magic Pass, you can ride the attractions without having to line up. • It is time to appreciate the history and various cultural heritages living in the city of Korea, once you have eaten, enjoyed, and rested! • From Old Stone Age to Japanese Occupation, Korean history is divided into periods with actual or recreated relics so foreigners can consume easily. 1. Purchase the desired product and Check Lotte World Pin Code on the mobile voucher or email voucher. 2. Present the voucher at the “South Gate Group Ticket Booth,” and get an actual ticket. ※ Must visit after confirming PIN code on the voucher. 1. Go to Magic Pass waiting line, not the normal waiting lines. 2. Present physical tickets to the staff of each attraction and enter priority. • Get off at Exit 4 of Jamsil Station (Subway line 2, 8) → Please refer to the Official Website for directions. • (EVENT) The sausage : "Arabian Bazar" (Located in Adventure 1/F, the corner next to the rotating basket besides the "Garden Stage") by showing the entry ticket. • (EVENT) The single ticket for VR Space : The booth next to the ice-skating rink located in Adventure B/3 by showing the entry ticket. 2. Customers who purchased Magic Pass should go through Magic Pass Line! 3. If there is no staff nor Magic Pass waiting line, go to the front of the normal waiting lines and show your ticket! 4. You must present physical tickets to the staff. 5. Operation hours of Lotte World may vary by seasons. 6. 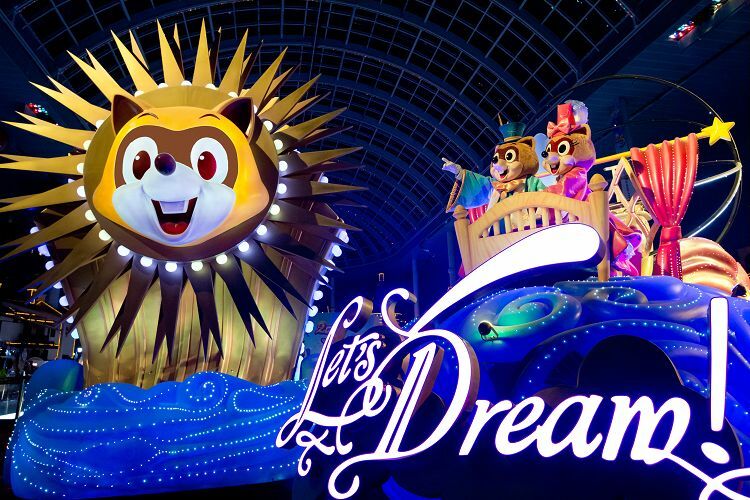 You must purchase the tickets for Ice Link inside the Lotte World building separately. 1. If there is no staff nor Magic Pass waiting line, go to the front of the normal waiting lines and show your ticket! 2. You must present physical tickets to the staff. 3. You cannot use it for paid facilities. Q. What are the convenient facilities in Lotte World Aquarium? Q. 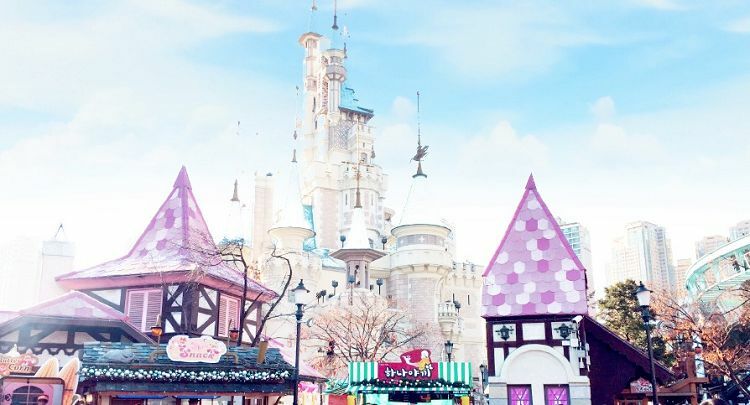 What are the convenient facilities in Lotte World? Q. Can I check the children’s attraction facilities?